The senseless murder of 44-year-old Nieves Antonio Pagoada has San Pedro Police on high alert as they try solving this latest homicide on the island. 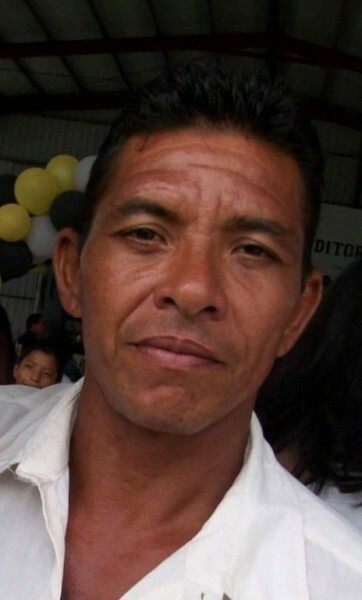 Police reported that Pagoada, a labourer originally from Honduras, and who had been in Belize for many years, was gunned down when he was heading home at around 11:30PM on Friday, October 28th in the San Mateo Area, north of San Pedro Town. Coincidentally, he was murdered at the same spot where Jason Gillett was shot and killed on Wednesday, October 26th, near a church at the entrance of that northern neighborhood. Residents who live near the area where Pagoada was shot, told The Sun that they heard six gunshots being fired, after some time of silence they came out to see what had happened and noticed someone lying on the street, face up. Police were notified and quickly processed the area upon their prompt response, and retrieved six 9mm expended shell from the area near the body. Pagoada was transported to the Dr. Otto Rodriguez San Pedro Polyclinic II where he was pronounced dead on arrival by Dr. Renae Sersland at 12:51AM. His body has since being transported to Belize City for a post mortem. The official police report states that upon arriving at the scene they noticed the lifeless body of a male Hispanic person laying face up in a pool of blood on the middle of the street. Further inspection of the body revealed that Pagoada had succumbed to six gunshot wounds. The report explains that Pagoada was walking home when upon reaching in front of a residence he was accosted by unknown persons who inflicted the mortal injuries. Police have no direct leads so far but they believe, after obtaining a statement, that they have the description of the culprit(s). Footage from a surveillance camera nearby was able to provide images when the murder occurred, featuring one of the three assailants as the shooter. Police did not reveal more information on their investigation as it is very young and they do not want to jeopardize the results. Pagoada had no issues with the law or anyone; however, police believe his death might be in retaliation for the murder of Gillett a few days ago. Since then, police have identified a few persons of interest who they believe can assist them in solving Pagoada’s murder, along with the previous which took the life of Gillett by an unknown shooter as well. In an effort to prevent any more violent incidents, the San Pedro Police Formation will be engaged in a strict operation against a potential spike in crime on the island. As a result, members of the Gang Suppression Unit, along with other security agencies from the mainland will be assisting the local force on the island in their preventative campaign. “We will have a major increase in patrols throughout the island in order to thwart any future illicit activity and bring back the order in San Pedro,” said Deputy Officer in Charge of the Coastal Executive Unit Henry Jemmott. He once again asked the general public to assist the police in any way they can, so together they can continue keeping Ambergris Caye attractive and safe for residents and visitors alike. Anyone who may have information about these recent shootings is urged to contact the San Pedro Police Station at 206-2022. This recent murder marks the ninth on Ambergris Caye for 2016.